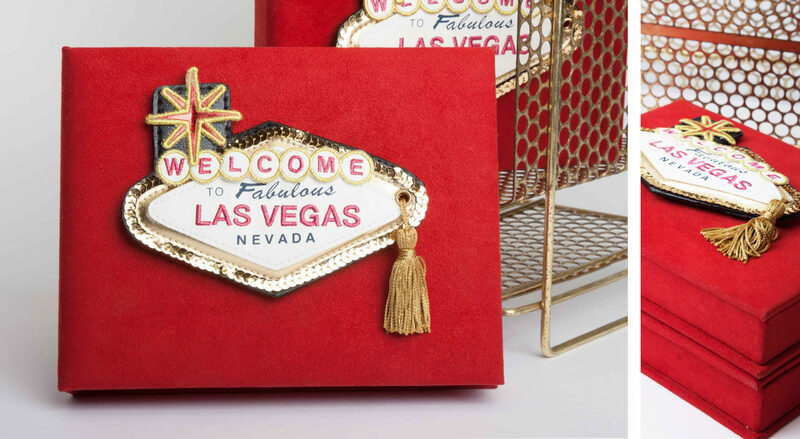 For a Vegas birthday bash, we started with an amazing over-the-top custom suede box embellished with a sequined luggage tag. 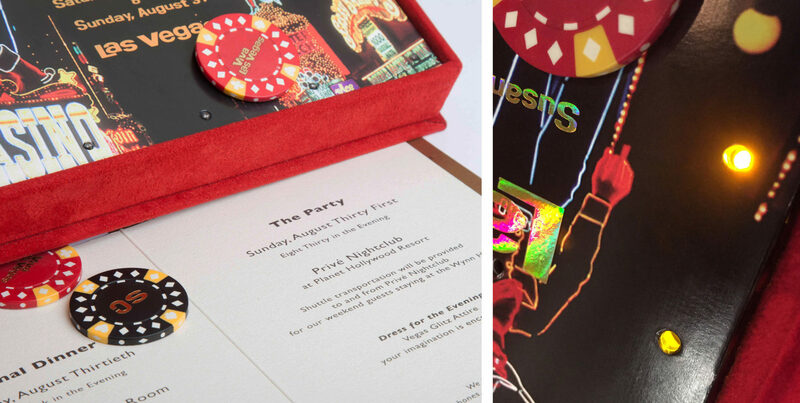 Opening the box activates a sound chip playing Elvis Presley’s “Viva Las Vegas” as race lights circle an invitation featuring classic Vegas graphics and holographic foil. Our showpiece set the tone for this once-in-a-lifetime birthday weekend, exceeding the clients’ expectations in every way!